Timothy makes wines with a focus of minimal intervention. I started in 2004 and returned in 2006 after a brief stint abroad. I moved to Napa in 2000 to pursue my education, and eventually found myself at UC Davis obtaining my degree in Viticulture and Enology. For my grandfather’s 88th birthday he and I shared a ’95 Far Niente Cab. I wasn’t even 21 yet, but that moment, that wine, in that company, it was an experience. Jay Heminway. He farms his land, he makes his wine, and has done so for 40 years. 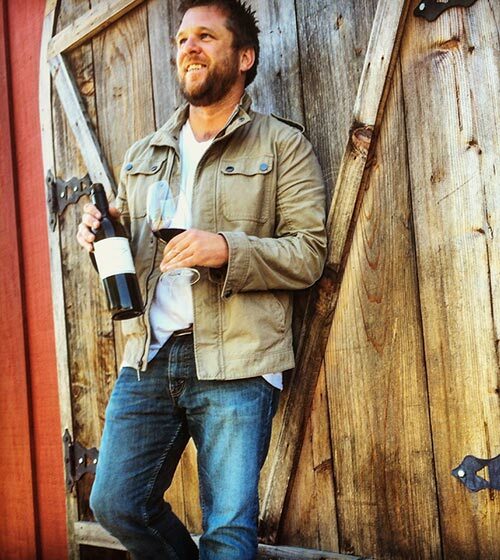 My brief time spent making wine with him in 2007 has helped shape my goals. When the day is done, and the headaches of broken pumps, bills of lading, TTB reports, sales reports, and work orders have all been put to bed, I still get to have a glass of something I helped make, and somehow that makes it all worth it. Each day truly brings a new set of challenges, none bigger than the next. Pushing boundaries, trying to reach the edge. We cultivate it by continually being inspired by creating and never stifling that desire. It doesn’t shy away from wanting to be the best wine growing region in the world. We make our wines with a focus of minimal intervention. They’re natively fermented and bottled unfiltered. Our ultimate goal is to make sure that what is in that bottle is strictly fermented grapes. I know it wouldn’t involve a desk. My grandfathers, Ernest Hemingway and my nephew Caleb - but only in 18 years or so. Find romance in the experience outside of what’s in the glass. Apparently I snore. I don’t really believe it.